From January 20th to 24th, the Spring 2016 Master Project Thesis class taught by Visiting Assistant Professor Henry Rueda visited Mexico City to see architectural landmarks and historic locations. Students arrived in Mexico City on the 20th. They first visited the studio of TALLER DE ARQUITECTURA / Mauricio Rocha + Gabriela Carrillo and then visited the Project: Iturbide Studio. On first evening in Mexico City, they had dinner in the Coyoacan Main Square. For the rest of the trip, the students visited the National Museum of Architecture, the Coyoacan Chapel and the Coyoacan Market, the Elena Garro Cultural Center, the Bellas Artes Palace, the Vasconcelos Library by architect Alberto Kalach, Casa Gilardi by Luis Barragan, the Metropolitan Cathedral, the Holocaust and Tolerance Museum, and La Ciudadela Cultural Center/Libraries complex. The class also viewed the IX Ibero-American Biennale of Architecture and Urbanism at the Spanish Cultural Center. 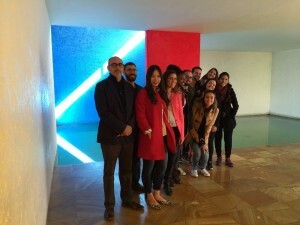 Among the companies, studios, and galleries they visited, the students met with press company Arquine, the studio of Alberto Kalach, Kurimanzutto Gallery, and the studio of Rozana Montiel. 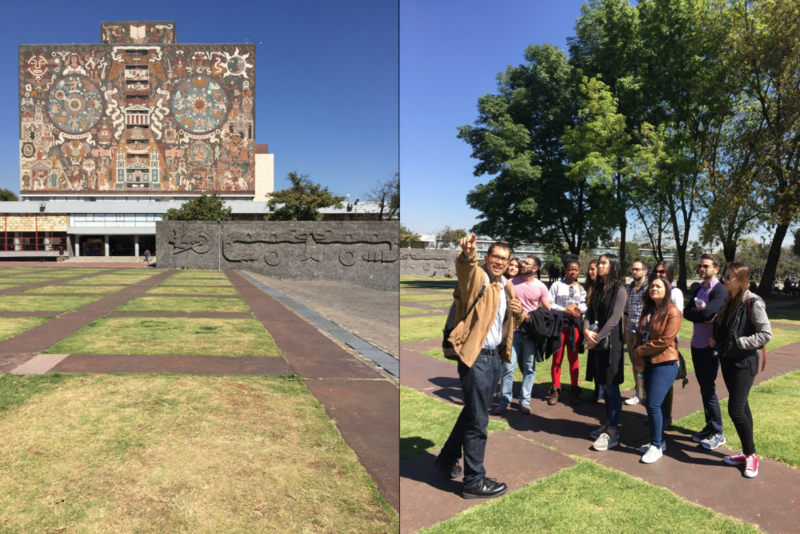 On their trip, students took a special tour of the Universidad Nacional Autónoma de México (UNAM) campus with Professor Juan Ignacio Del Cueto and Professor Eduardo Alarcon, who showed the students the work of Felix Candela. 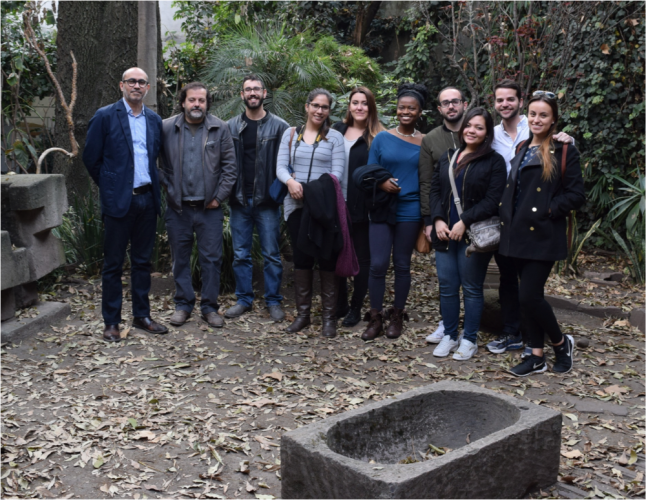 The header image is of Professor Eduardo Alarcon guiding the Master Project Thesis students on a tour of the Universidad Nacional Autónoma de México (UNAM) campus.